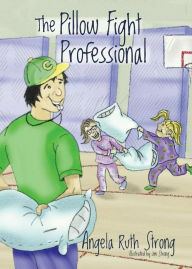 I, Joey Michaels, am The Pillow Fight Professional! Basically this means I’m training a bunch of my sister’s friends to hold their own against older siblings. Unfortunately, when the girls win a pillow fight at an overnighter, those older siblings aren’t very happy with me. I’m forced to plan a pillow fight to end all pillow fights. Me and the girls against a bunch of bigger boys.